Held once a semester, the Fulton Schools Career Fair is your opportunity to recruit for internships and full-time positions. Our students are ready to enter the workforce with technical training and soft skills. Have you ever thought “I wish I had known that!”? Career Exploration Night is your chance to share your experiences and life lessons with students just getting started on a STEM career path. Students in the competitive FURI program present their research at a semi-annual poster symposium. Students in the Engineering Projects in Community Service solve engineering problems for community partners. Collaborating with industry partners, students work on meeting tangible industry and societal needs by producing, refining and developing inventions, new methodologies and fresh ideas. Corporate affiliates build long-term relationships with students and develop targeted recruitment strategies. Raise awareness through on campus opportunities in research collaboration, capstone projects, student organizations, and events like hackathons and competitions. Members receive priority invitations to special events. Join us for this three-day event to meet engineering, technology and construction candidates for full-time and internship positions. Our students and alumni are well prepared for technical careers. Tailor your visit to target the candidates you’re looking for — bachelor’s, master’s or doctoral students on ASU’s Tempe campus or Polytechnic campus. Open to anyone with formal education in aviation, engineering, technology, computer science, construction management or any related technical discipline. You represent YOU and your path from freshman to professional! 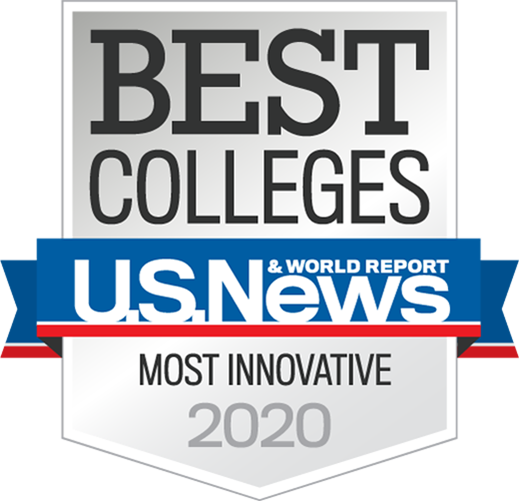 Share your college experiences, career history and advice with future innovators — and help students complete a class assignment at the same time! Join the Ira A. Fulton Schools of Engineering at free events throughout the year. Catch the cutting-edge of engineering and technological research conducted by our students or bring the family at ASU for fun and demos. Visit this an open house-style poster display and learn about student-conducted research. Students from the competitive FURI program, Grand Challenges Scholars Program, KEEN and master’s students present their posters and share what the knowledge they’ve created and the experiences working in labs. Got a problem? Our students can solve it! Innovation Showcase is a massive exhibit of student-produced projects, demonstrating how we solve real-world problems with innovative and imaginative solutions. Take a look at how our students work together with faculty and industry mentors. Join us at family-friendly events and have fun with hands-on activities, games and demos. We can’t wait to reconnect with alumni and friends at the Homecoming Block Party in the fall. And bring the family back to campus in the spring and explore what happens at a world-class research university at ASU Open Door. Our students aren’t waiting until graduation to get involved in their communities or start businesses. You shouldn’t wait either! Get involved by becoming a mentor, guest speaker or sponsor. Using a service-learning model, the Engineering Projects in Community Service give students the skills they need to be successful in bringing ideas to life. The projects are performed without charge for not-for-profit host organizations such as a community organization, school or government entity. There are dozens of Fulton student organizations and teams ranging from honors and professional associations to groups creating underwater robots, concrete canoes, and launching rockets. Many of the student groups operate in conjunction with industry professional societies. Develop the next generation of the workforce through sponsorship and mentorship. Throughout the year, the Fulton Schools hosts a multitude of events designed to engage Pre-K- Community College students through sparking and fostering an interest in engineering and STEM. Community support is one of the driving forces behind the success of these events. If you’re interested in giving your time and energy to FSE, please see how you can make a difference. When it comes to providing rich experiential education for current students or building a pipeline of future innovators and problem solvers, we can’t do it without you. Your experiences, time and energy and support are invaluable. You can change the lives of students and their families. Our student experience is much more than learning in a classroom. We encourage students to work on real-world challenges and in professional situations. Bring your project to a program chair or contact our Development office to find out more. The Fulton Schools Engineering Education Outreach team is fostering awareness and engagement of STEM fields and engineering practices. The Fulton Schools are passionate about investing in Arizona’s youth, and invite you to join this world-changing endeavor. We believe that engineering is more than a discipline — it’s a mind-set, a way of looking at the world to determine how challenges can be met. Your gift can directly change lives and inspire our students and faculty to shape the future for all of us. By their nature as builders and innovators, Fulton Schools students have enormous potential to become game-changing entrepreneurs. Entrepreneurship + innovation invites all 20,000+ Fulton innovators to explore their startup ideas, tackle grand challenges, and change the world through entrepreneurship and innovation. Be a part of signature degree and certificate programs, courses, workshops, expert mentoring, new venture competitions, and other curricular and co-curricular opportunities. If Fulton Schools was its own university, we would be ranked no. 36 in the world with 61 utility patents. Find out which faculty are turning their ideas and inventions into impactful startups. This event advances university student innovators who aim to develop hard-tech ventures. The ASUio provides critical venture mentorship and funding for student competitors who are launching a hardware enterprise within a wide variety of cutting-edge marketplaces. 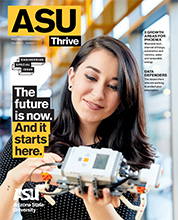 ASU and the Ira A. Fulton Schools of Engineering have a proven track record for leading complex research centers and initiatives in geotechnical infrastructure, PV systems, clean water technologies and the modern electric grid to name a few. Partner with us and find out how far your next idea will go.